We remember long car trips when we were kids, so overcome with boredom that even books seemed to lose their luster after a while. How much cooler would it have been to have a fun game built right in to the car window? 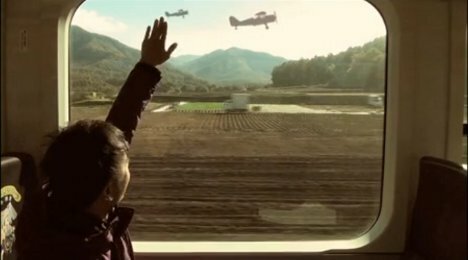 A project called “Touch the Train Window” could bring an unusual kind of fun to long journeys using augmented reality. 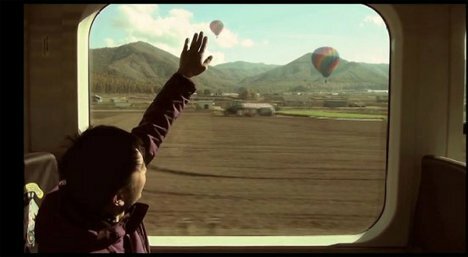 Touch the Train Window is a kind of simple game from Japanese AV collective Salad that lets passengers add virtual objects to the landscape as they roll on by. The system uses a Kinect, an iPhone, a laptop running openFrameworks, a GPS module and a projector to create virtual objects that really look like they are a part of the passing landscape. Users can touch the window to add hot air balloons, horses, birds or other fun-to-watch things to their surroundings. It’s sort of like a “create-a-scene” sticker book for grownups. The GPS module measures the speed of the vehicle as well as the distance to nearby landmarks, adding to the realism of the created scene. All of the equipment required for the game is very cumbersome right now, but as the components shrink with subsequent generations the hardware might someday be small enough to install in a car. Of course, whether it’s in a car or a train, a game like this pretty much guarantees that fights over the window seat will get a lot more intense.